Like many Rust Belt cities, Buffalo had fallen on its share of hard times. However, unlike many of these cities, Buffalo is well into an economic resurgence that shows no sign of abating. There are many factors that make Buffalo a promising location for businesses. This has contributed to a positive trend for growth in the region, and the impact is being felt across all of Western New York. Below are five of the reasons why Buffalo has become a great place for business. Buffalo has been hailed as the country’s most affordable city. Companies that locate themselves in the Buffalo area will know that they have access to land and buildings at a competitive price. This means that businesses can rent property on the cheap and will have lower fixed costs than if they locate elsewhere in the country. Renting office space in Buffalo costs a fraction of the price that it would in a major metropolis. 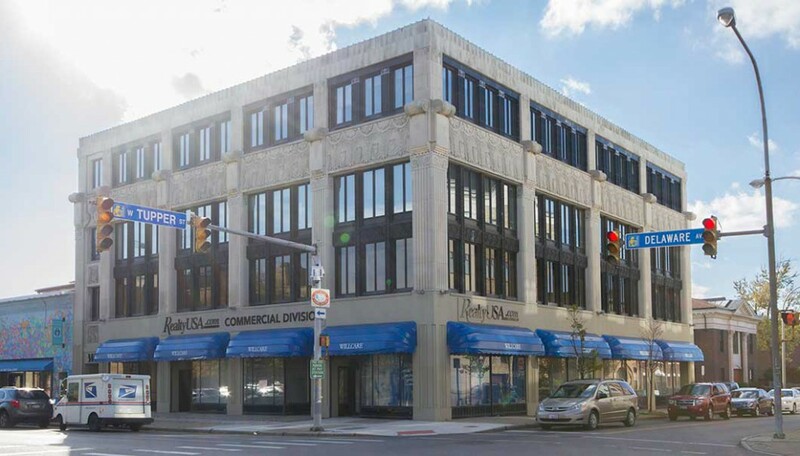 There is plenty of existing office space in Buffalo to meet new demand. There is no shortage of land and locations for businesses to establish a headquarters. Given the amount of manufacturing businesses that have closed, there is ample opportunity to purchase a closed facility and convert the property to either an office or a headquarters. In addition, the affordable real estate prices also extend to homes for workers. This has two impacts on businesses. The first is that workers will want to relocate to the area knowing that they can purchase or rent a home for a cheap price. The second is that, with housing costs being lower, businesses are able to pay lower wages than they would in a city that has higher housing costs. Buffalo has established itself as a technology hub and a place where startup businesses choose to begin operations. There is a large public commitment to the revitalization of Buffalo. New York has launched a major program to give businesses an incentive to locate in Buffalo. New York has established the Buffalo Billion initiative, which gives $5 million a year in cash prizes in an attempt to bring the best talent in technology to Buffalo. 43North has become the world’s largest ideas competition. This project also combines grants and tax benefits for businesses in an attempt to lure them to Buffalo. The largest project that has been completed in Buffalo as a result of the initiative is a large solar panel plant that received $750 million in incentives from Buffalo Billion. The startups are aided by the nearby presence of many universities and the cutting-edge work that they produce. The University at Buffalo has been performing groundbreaking medical research. This has established Buffalo as a leading center of human genome research. Buffalo has fast remade itself into an alternative to Silicon Valley for startup companies. Given the economic metrics of the Buffalo market, companies can obtain venture capital for less. There are lower startup costs in the area, so business owners can keep more equity in their company when seeking financing. Buffalo has established a reputation for itself as a leading player in the clean energy and biotech industries. It also has a large solar panel factory that supplies products to Tesla. Buffalo has become a draw for the millennial generation in recent years. This is due, in part, to the lower cost of living in the Buffalo area. Millennials value the fact that their paycheck can go further in Buffalo and it draws them to the city. Their paycheck goes further than it does in other cities, especially in the area of housing. Census data from the New York Times showed that from 2000 to 2012, the number of residents aged 25 to 34 in Buffalo jumped by over one third. This places Buffalo ahead of nearly all other major urban areas like New York City, Chicago, Los Angeles and San Francisco. Buffalo has several different programs designed to draw people into the city. The most notable of these programs sells vacant properties to purchasers who intend to rehabilitate them for one dollar. The influx of millennials into the area leads to a more educated workforce. The younger workforce becomes a creative one that leads to more development in the city. In addition, Buffalo now has an expanded base of consumers with disposable income, making it more attractive for businesses. In Buffalo, businesses have invested money and effort into constructing environments in which millennials are comfortable, and they have been rewarded with a productive workforce. The influx of millennials keeps the labor market from getting too tight, which would require businesses to hike wages in order to attract and retain talent. Buffalo is a gateway to Canada for much of the United States. The city is located less than two hours from Toronto. As Canada’s economy has blossomed, it has had benefits for Buffalo as well. Canadians who want to come to the United States to shop will often stop in Buffalo and patronize businesses in the area. The Southern Ontario region that is located adjacent to Buffalo is in the middle of a period of explosive growth, both economically and in terms of population. Many of these residents will fly out of Buffalo when they travel. In addition, the presence of a large market of Canadian citizens will help to boost the retail sector in Buffalo. In some instances, the Buffalo economy is unified with that of its Canadian neighbor. The flow of goods to Canada through Buffalo has also aided the local economy. The border crossings near Buffalo locate it at the heart of the Northeastern Trade Corridor. Downtown Buffalo was given up for dead but has been making a sizable comeback in recent years. Downtown Buffalo’s comeback has been partially spurred by the expansion of the banking sector in the city. M&T Bank is headquartered in Buffalo and has added workers at a brisk clip in recent years. There are several other banks with large operations in Downtown Buffalo. The area has been a magnet for the millennial population due to the waterfront. The downtown area has been experiencing significant growth and new hotels are being built at a brisk rate. Instead of shrinking, as it had done in the past, downtown Buffalo is now an area of growth. Developers have been buying vacant or abandoned lots and initiating new construction projects at a previously unheard of rate. In 2017, several major projects were completed in Downtown Buffalo. The University of Buffalo expanded its presence at its medical campus located in Downtown Buffalo. In addition, new apartment housing units were constructed in several places in Downtown Buffalo. As you can see, Buffalo has become not only a great place to visit, but for businesses to grow and thrive, which makes it a great place to live. Are you ready to plan a move to Buffalo?